The tomb of Mariam-uz-Zamani, consort of the Emperor Akbar, is located close by Sikandra, the tomb of Akbar himself (see below). 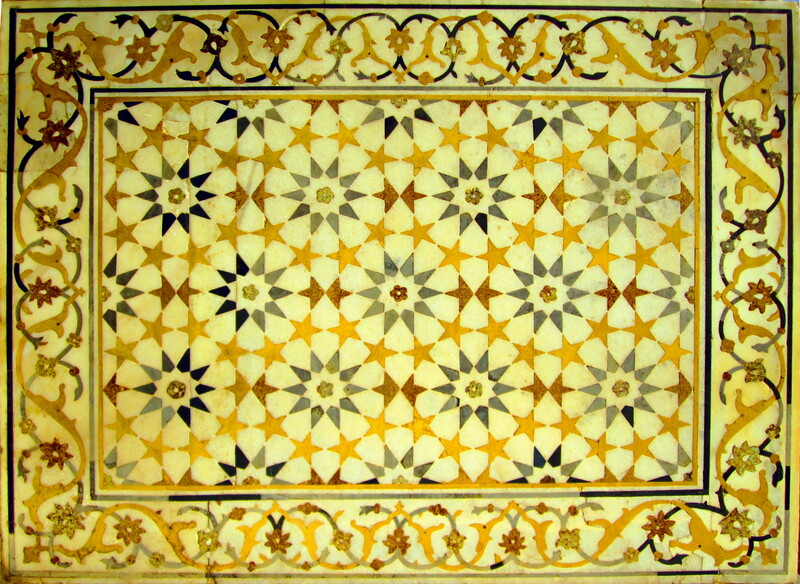 Sikandra is the tomb of Akbar the Great, the third Mughal Emperor. 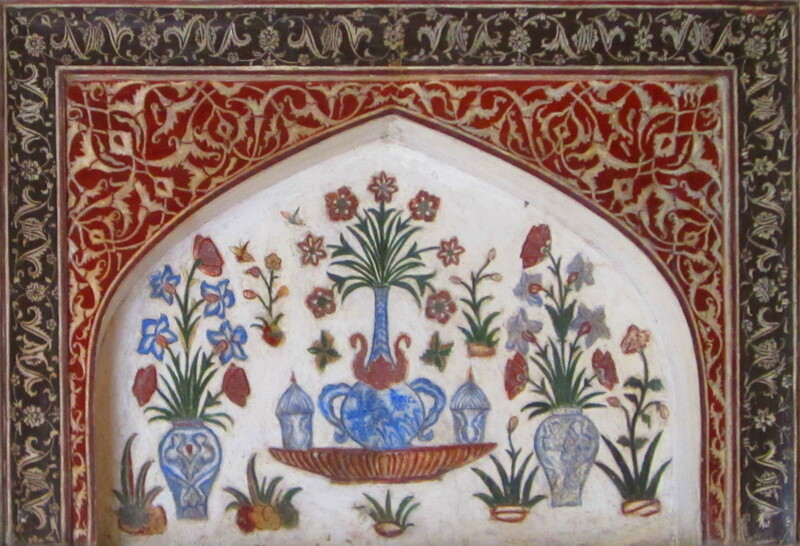 It includes a profusion of different decorative patterns, of which the two below are a poor representation. Akbar’s new capital, built in the 1570s to the southwest of Agra. 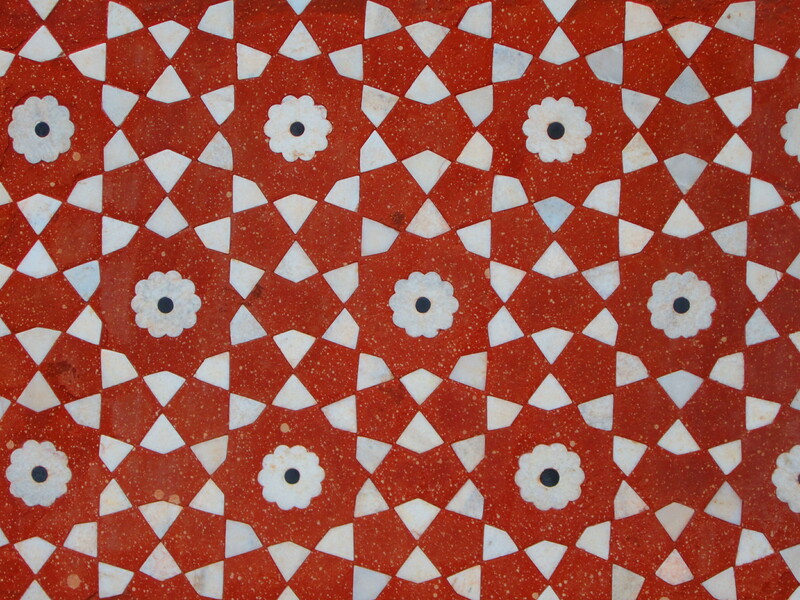 This entry was posted in India and tagged agra, akbar, architecture, art, design, fatehpur sikri, india, islam, itimad-ud-daulah, mariam's tomb, mughal, mughal empire, patterns, sikandra by Tom Bell. Bookmark the permalink.